This is the second palette I bought from Sleek and also its the other half of the 2 fully matte palettes that they offer. To see the bright's palette that is full of bright and neon shades click here. I've also already done a look using the brights palette which you can find here. 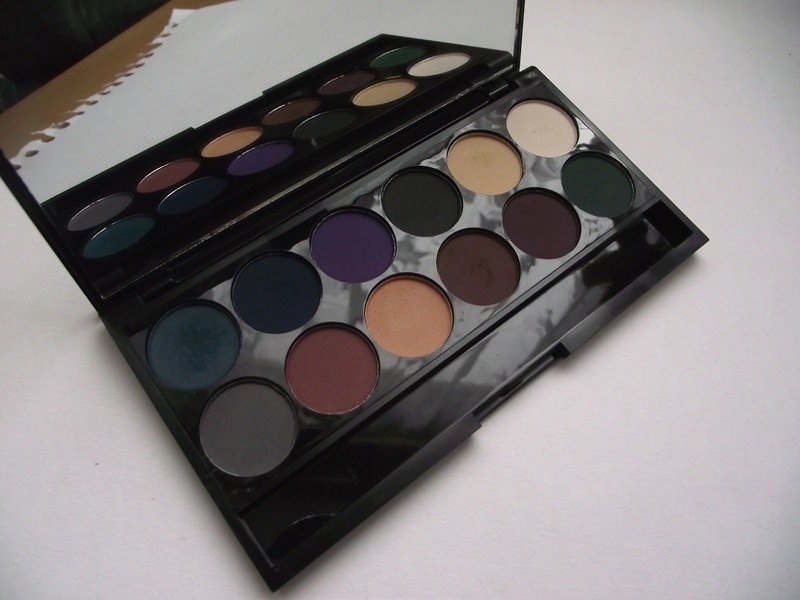 But this post is all about this perfect palette for any smokey eye lover! Orbit | This is a teal colour with brilliant pigmentation. Ink | This is a dark navy blue shade with brilliant pigmentation. Noir | This is the matte black in the palette and has brilliant pigmentation. Dune | This is a sand shade with good pigmentation. Pillow Talk | This is a creamy white shade with good pigmentation. Thunder | This is a medium grey shade with great pigmentation. Maple | This is a red-ish brown shade with brilliant pigmentation. Flesh | This is a darker sand colour with great pigmentation. Paper Bag | This is your basic dark brown shade with brilliant pigmentation. Villan | This is a very dark purple shade with brilliant pigmentation. Fern | This is a dark green shade with brilliant pigmentation. 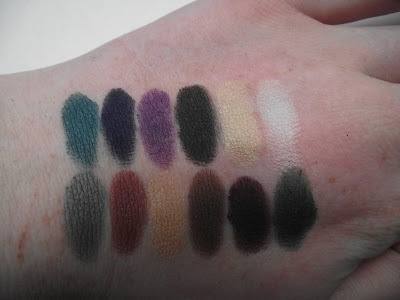 These shades have brilliant pigmentation, I'm impressed by all the shades. The pigmentation is better than the bright's palette but that might be a little down to the colours being darker. These have great lasting power with a primer just like the bright's palette. I'm so glad I bought the matte versions of the palettes, I really love them! Do you prefer matte or shimmer/satin eyeshadow's? Maple is such a pretty colour! love sleek eyeshadows. Such pretty colors..